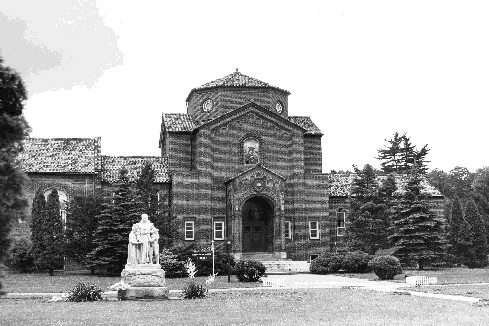 There are instances of benefactions that occurred before St. Bonaventure's library was moved from Alumni Hall to its current location. One of these early benefactors was Father Joachim Guerrini. 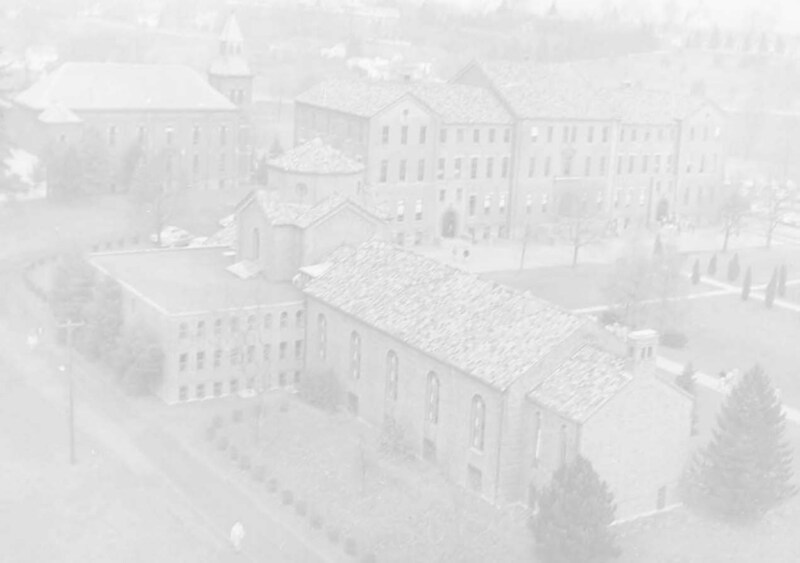 Father Guerrini was a faculty member at St. Bonaventure College and Seminary from 1860 to 1865. From the time that he came to St. Bonaventure, up to his death in 1918, Father Guerrini collected books for the library. It is believed that close to two-thirds of the University's rare book collection were donated by Father Guerrini. These books all include the inscription, "Ex libris ad usum Fater Joachim Guerrini O.S.F. concessis," or "From the books granted for the use of Brother Joachim Guerrini O.F.M." Another early donor was Father Maximus Cassini. Father Cassini, was both a teacher, and one of St. Bonaventure's earliest presidents. At his death in 1888, Father Cassini left his entire personal library to St. Bonaventure College. This included over 1,500 books, and although they are not as rare as the books given by Father Guerrini, they are some of the oldest books that the library has. Two other names are extremely important when discussing the library's beginnings--Father Thomas Plassmann and Father Albert O'Brien. Father Plassmann was the President of St. Bonaventure from 1920-1949. During this time the library moved from Alumni Hall to the new Friedsam Memorial Library. Fr. Plassmann is very important to the history of the library. He secured the original donation for the building from Colonel Michael Friedsam, sent Father Irenaeus to Columbia University where he went to library school, and arranged for Irenaeus' assignment to St. Bonaventure afterwards. Father Thomas Plassmann is known as one of the greatest Presidents in the history of St. Bonaventure. He was a member of the St. Bonaventure community for 45 years, and his achievements are numerous and great. While studying any part of St. Bonaventure's history, it is more than likely that the name, Father Thomas Plassmann, O.F.M will come up. 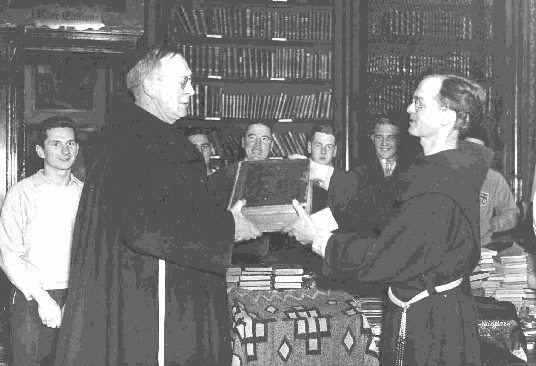 Father Albert O'Brien was the director of St. Bonaventure's library from 1924 to 1937. He encouraged the building of a new library and helped design the new building when funding was found. He was also responsible for much of the work that was done inside the library at the time. For example, some of the earliest card catalogue entries in Friedsam Library were done by Father O'Brien. Unfortunately, Father Albert's life ended early due to a tragic accident in 1937. Father Irenaeus became the Library Director at this point.